Ba Be Lake, the largest natural lake in Vietnam, is a well-known attraction to both foreign and domestic tourists for its charming natural beauty. Situated in the altitude of 145m above the sea level, the 17-25 meters-deep-lake spreads over 50 hectares through the core area of Ba Be National Park, the home to over 200 birds and 350 butterfly species living in primary limestone forest. 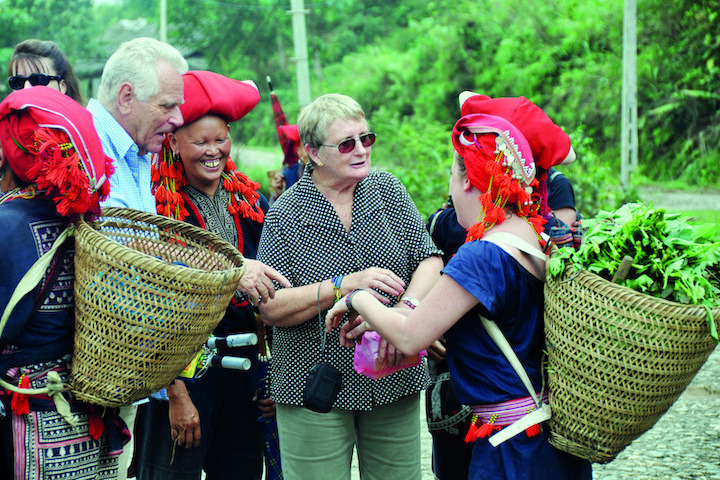 Joining our two-day short trip to Ba Be, you will not only admire those geological treasured values but also have chance to learn about the daily life and culture of ethnic minorities living surrounding the lake. Let’s try to experience the marvelous nature and unique ethnic culture ! Ba Be Lake National Park protects Vietnam’s largest and highest lake. It’s an area of forested mountains, karst islands, caves, waterfalls, and largely undisturbed wilderness. It’s one of those rare areas in Southeast Asia where birds and wild animals are abundant. Small local villages add a bit of cultural interest. 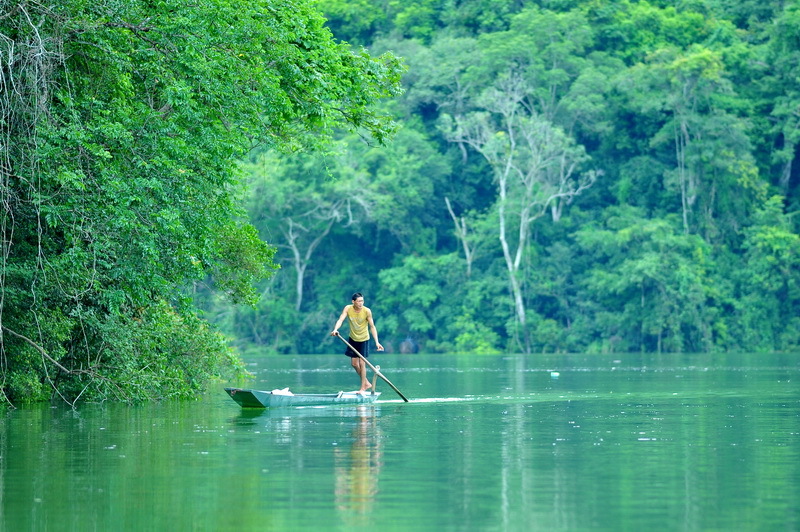 While Ba Be Lake National Park is located only 150 miles from the hustle and bustle of Hanoi, it’s a world away. . . or at least it feels like it. 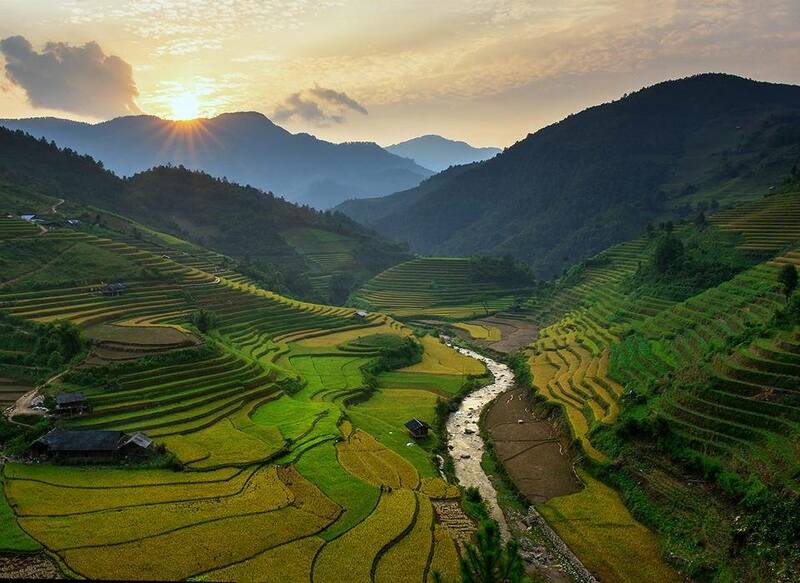 Over the course of six hours or more, those 150 miles lead visitors deep into the wilds of northern Vietnam. Note that it takes at least six hours to reach the park from Hanoi. (The farther you go, the narrower and more primitive the road becomes and, of course, there is always road construction to add additional delays.) As usual on this trip, our travel agent’s overly ambitious itinerary promised the impossible: A day spent driving to the park through lovely scenery with stops for a museum visit, lunch, and a village visit before spending the afternoon touring the lake. We reached the shores of Ba Be just as the sun was dropping behind the mountains. The upside of this timing was that we had the lake to ourselves and the light was beautiful as we took off. The downside was that it was soon dusk and, thus, dark most of the time we were on the water. To get us off the lake before it was completely dark, our tour was fast (top speed for boat we were on) and abbreviated (we only saw a portion of what would usually be included in a tour of the lake). We didn’t get to see much of the lake or its wildlife, and zooming around at top speed in near darkness wasn’t exactly a relaxing way to end the day. Ba Be means Three Lakes; however, they combine here to form Vietnam’s largest lake. Ba Be National Park protects the area around the lake and a great diversity of animal, bird, fish, and plant species. The lake is generally toured via motor boat or kayak (it would be a wonderful place to spend a few days kayaking). In addition, a nearby waterfall and scenic overlook can be reached by road. The park is also home to about 3,000 people from five different ethnic groups, although the majority are Tay people who have lived in the area for a few thousand years. There are limited accommodations within the park itself, with one luxury lodge nearby and a number of basic homestays right on the lake. As noted previously, the park is located at least six hours (a number of sources suggest eight hours) from Hanoi. It is a long day on the road and the road itself becomes rather primitive near the park. 8.00 am: Departure from Hanoi to Ba Be National Park. We will take a drive of 230 km. You will also visit the stilt houses of the Tay community in Bo Lu Village, mostly living off the cultivation of rice. Have a lunch in a local restaurant. In the afternoon, Arrival Ba Be Lake. You will enjoy beauty of Ba Be National Park with a boat ride along the Nang River, the caves of Puong Grotto, the rapids of the Dau Dang waterfall and tiny Widow Island. 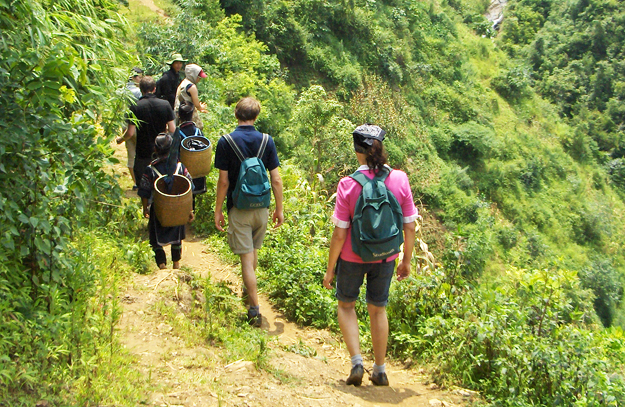 18h00: Walking to your homestay in Pac Ngoi village. Enjoy dinner with local host with home cooked local specialities. Overnight at home stay of Tay people’ traditional house. 8.00 am: Departure for Cao Bang. Relaxing while waiting for the guide to get the license at the immigration office (for travelling around border line) in Cao Bang Town then have lunch in Cao Bang there. Afternoon: Visit to the Ban Gioc Waterfall, 1 of 4 largest waterfalls along a national border. 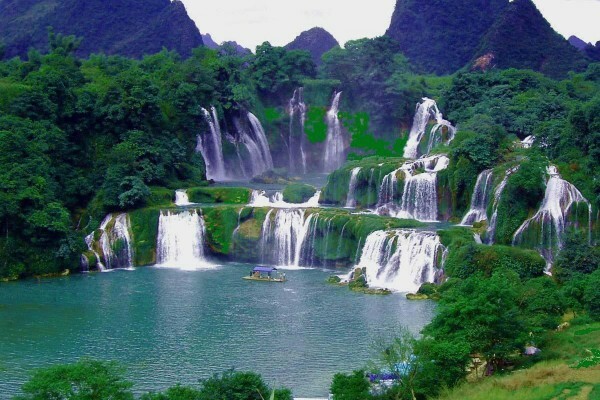 You spend some time at leisure relaxing and taking souvenir photos in front of Vietnam’s most beautiful waterfall. 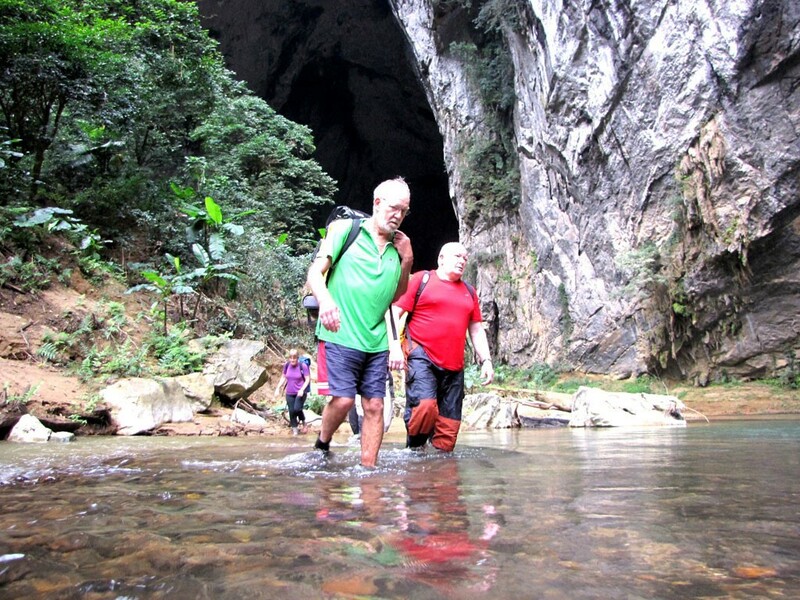 After that we depart to visit Nguom Ngao Cave (Tiger cave) – the wild and mystic cave still remain untouched unique formation. Return to Cao Bang city and stay in hotel. Check-out and breakfast in the hotel. After that, Depart back to Hanoi. 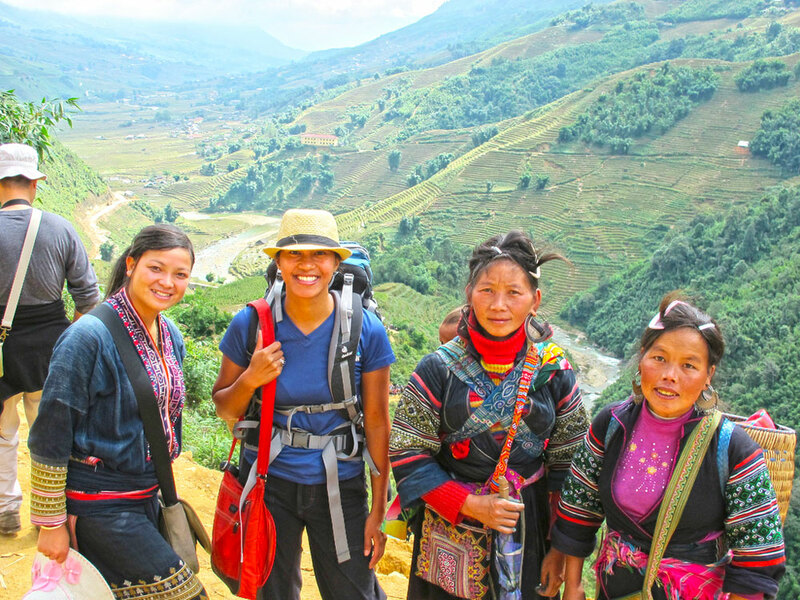 It is a journey of approximately 185 miles (310 kilometers) through vertiginous rice paddies and remote villages. 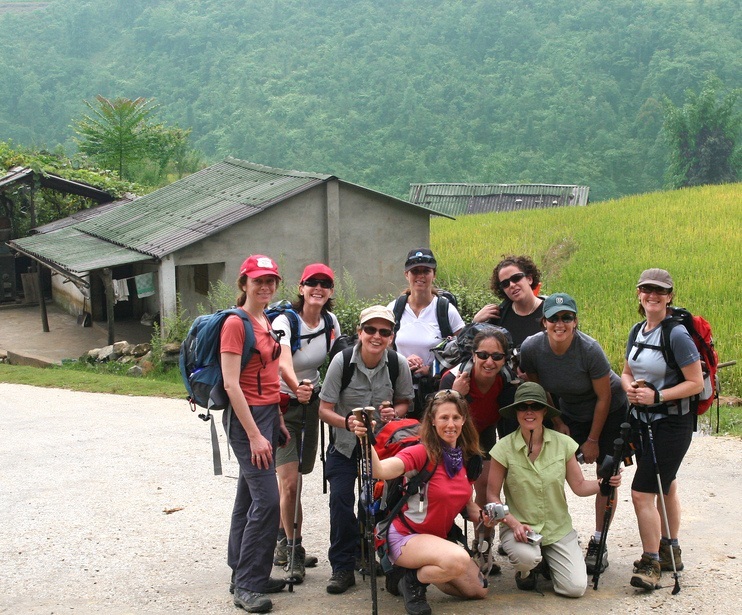 You will get the chance to stop at an ethnic village known for its rice production. Lunch in restaurant of Bac Kan town. Late afternoon, arrive in Hanoi. The tour ends. 4. English- speaking guide (other languages are available upon request). - Necessary things: passport, swimming suites, sunblock, sunglasses, good hiking shoes, hat, pants/long sleeve clothes, personal items. - If you are allergic to somethings or diet, vegetarian…please let us know before your departure date.